Located at the Lake Ontario Event and Conference Center, and adjoined to the Best Western Plus Oswego Hotel & Conference Center, Alexandria's offers the convenience of having your wedding venue and hospitality bundled in the same location. 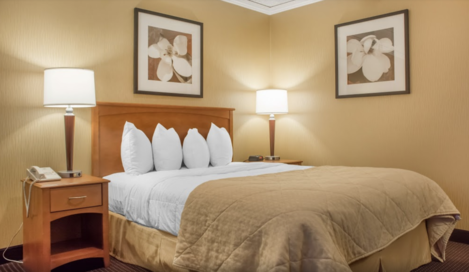 Our adjacent Quality Inn and Suites Riverfront is also conveniently located right next door to accommodate your lodging plans. Set along the historic Oswego Harbor, within the downtown district, our hotels are within walking distance to shops, parks, museums, beautiful marinas, fishing areas and the historic Oswego Library. Both the Best Western Plus and Quality Inn and Suites offer continental breakfast served daily. 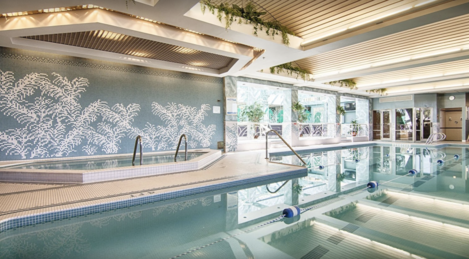 Other hotel amenities include an indoor pool, sauna, steam room, and fully equipped on-site fitness center, the Captain's Club, located in the Best Western. Additionally, our restaurants, Alex's on the Water and GS Steamers Bar & Grill, are located within the Best Western and Quality Inn and Suites Riverfront respectively. Your wedding coordinator is happy to facilitate any accommodations, or Contact us today!